Now offering a copy of this dress, created from my original pattern I drafted in August 2005. 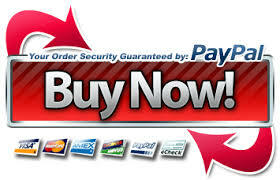 Scroll Down Page For Pricing. 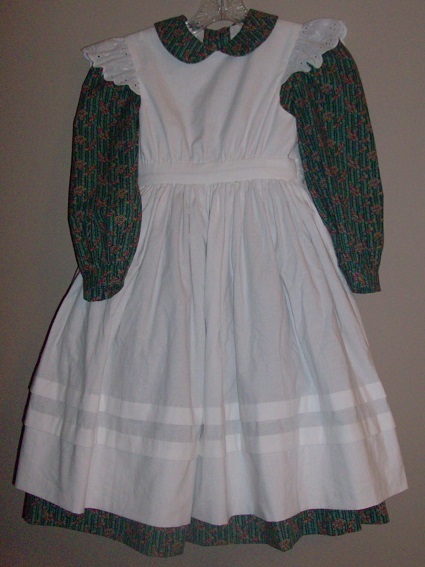 The original underdress did not have ruffles on the collar. DISCLAIMER - Each and every garment is individually created at the time of your order and thus I am unable to make “Identical” costumes. 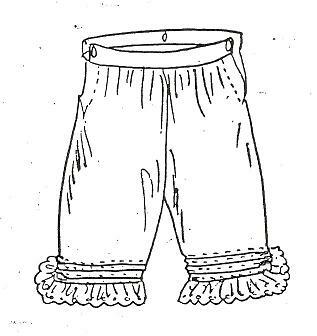 I will do my best to create a replica of the original Helen Keller outfit, created from the original pattern I drafted in August of 2005, but because of the individuality of each order, garment, and child's size, there are no two garments made alike. Underdress Fabric no longer available. 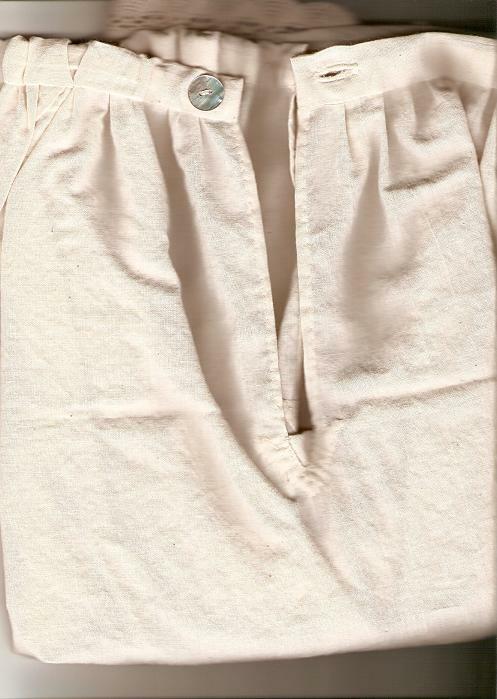 The lower cost one is made of a more in-expensive cotton, and does not have the hand set ruffle/rouching around the collar and cuffs, and no same fabric piping in seams. Fabric color choices are as close to the color request as possible, but will be what I can obtain locally without ordering a special fabric. Please specify two color choices for the main dress when ordering. 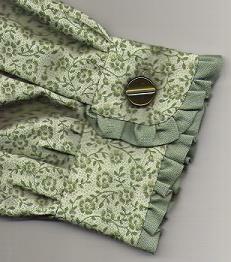 Picture of the original Helen Keller Costume, sleeve cuff. This fabric is no longer availabil! 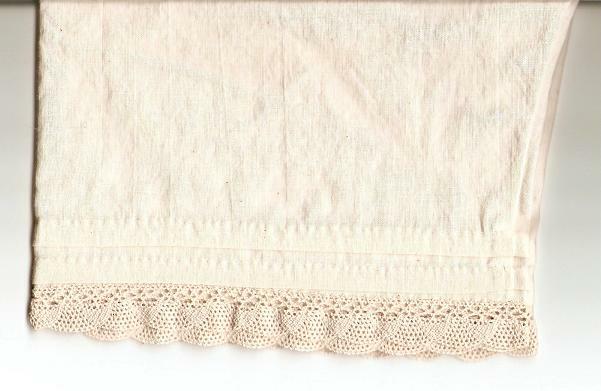 Model's Petticoat – Unknown, but I do make petticoats. 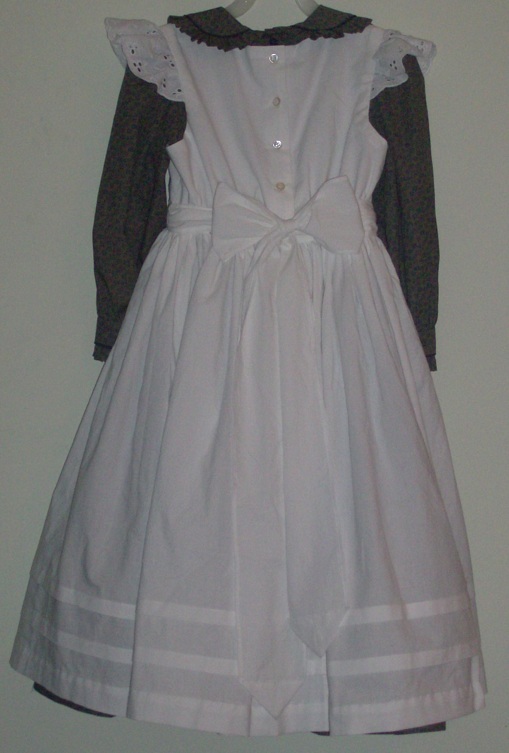 Dress - Shirtwaist with full skirt and back button closure, made of 100% cotton. 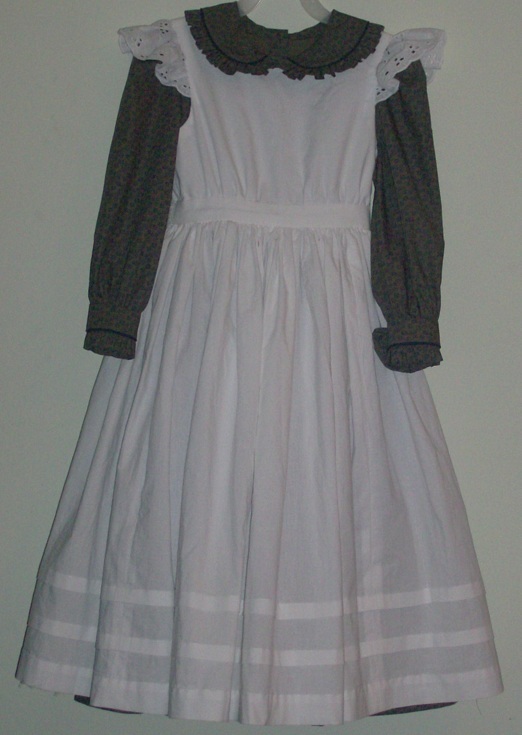 Pinafore - Shirtwaist with full skirt, eyelet sleeve caps, back button closure and tie sash, made of 100% cotton. Measurements needed or on the order form. Please Order at Least 4 Weeks before your Function Date. I am sorry, but these little dresses are sold out as quick as I get them made, so I do not have any of them in stock.